With Christmas just around the corner, are you ready for your Christmas decor? You don’t have to spend extra money on some expensive and fancy decors when thinking creatively. You can make your own Christmas ornaments with even the simplest materials around your house, like mason jar lids, pieces of fabric, wood slices and more. 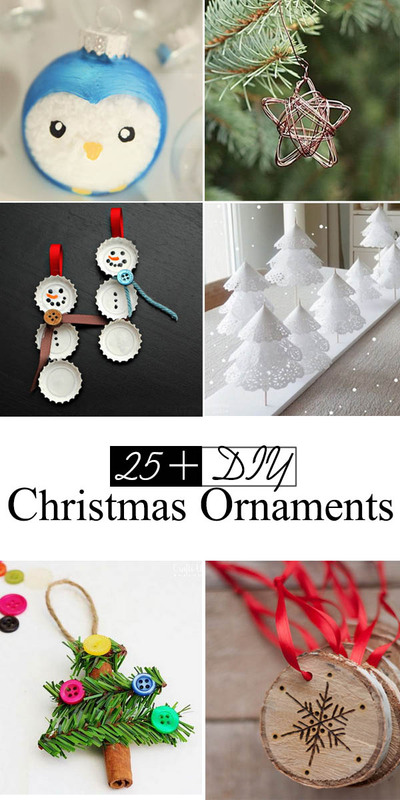 Today in this post, we have rounded up tons of personalized Christmas ornaments that you can easily make at home with your family during this holiday season. Get started now! Combine your favorite characters with the Christmas crafts! 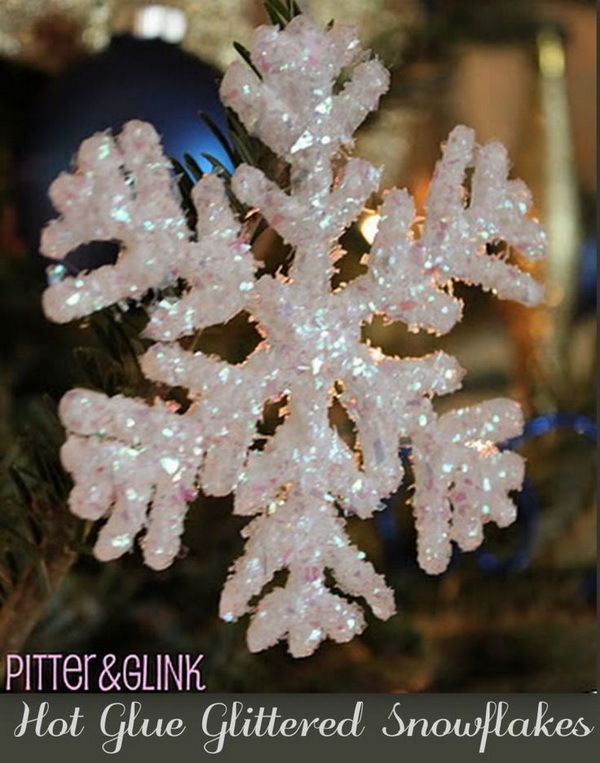 Great Christmas crafts to make with kids! Get the tutorial via Crazy Little Projects. Tutorial via honey bear lane. 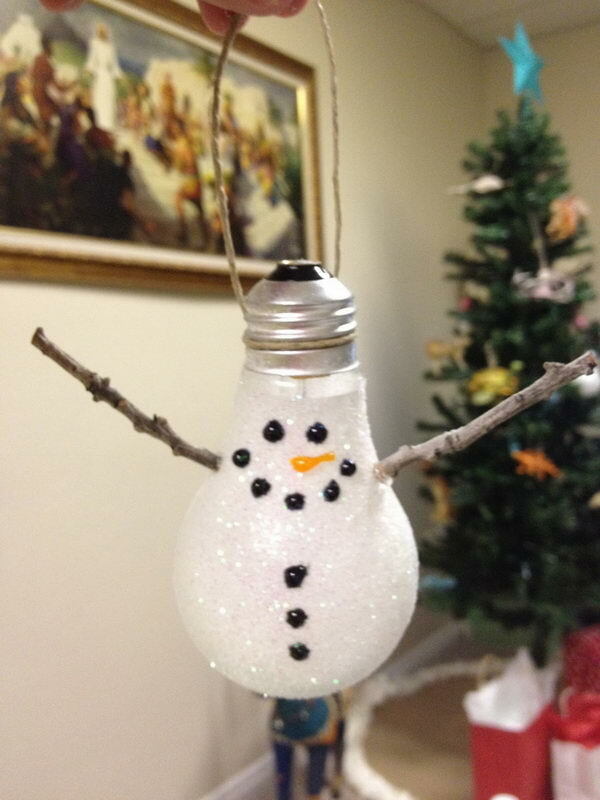 Super cute and adorable on your Christmas tree! 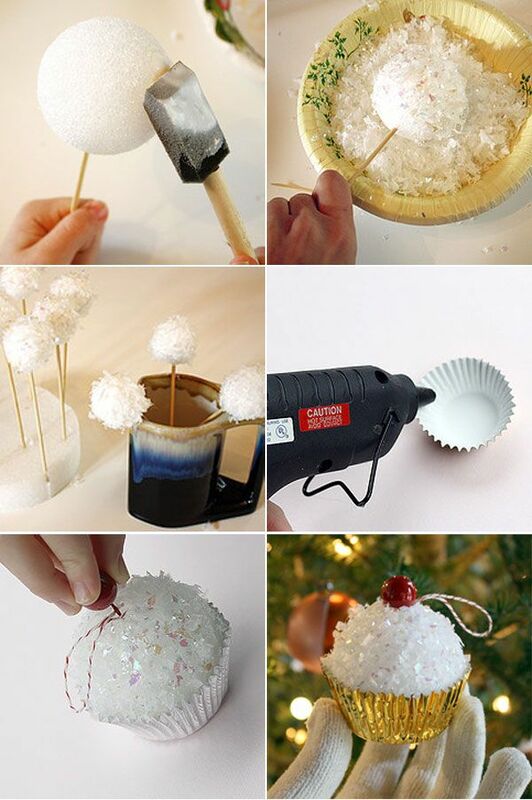 Great craft to make with your kids. 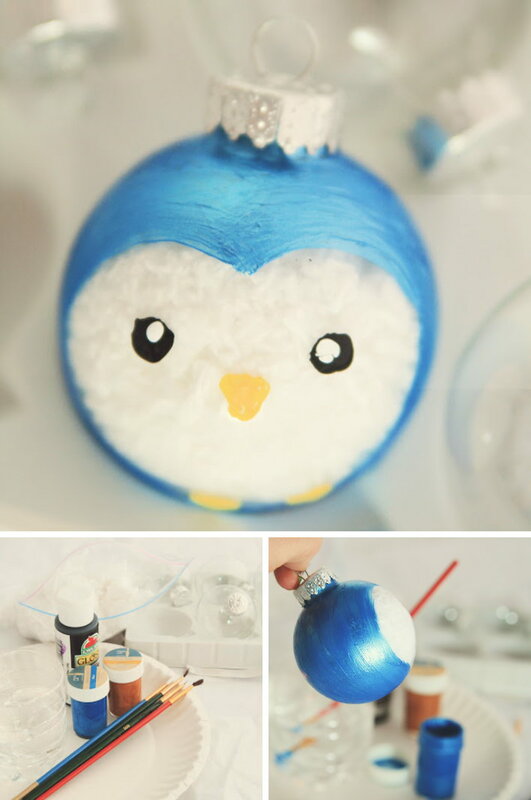 Look so cute and adorable on your Christmas tree! Want to make one by yourself? Check out the tutorial via Just Crafty Enough. First you should make a star template with 6 nails and a drill. This may be the most difficult part of the project. See the full tutorial via Alyssa And Carla. Get started to make these adorable paper Christmas trees with the tutorial via Two Jediy. 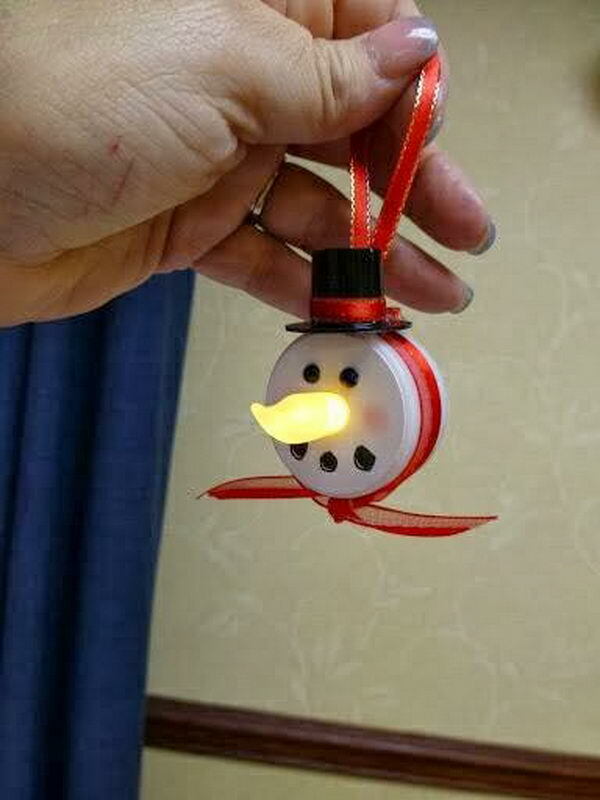 Another easy homemade Christmas ornament! Picture from Pinterest. 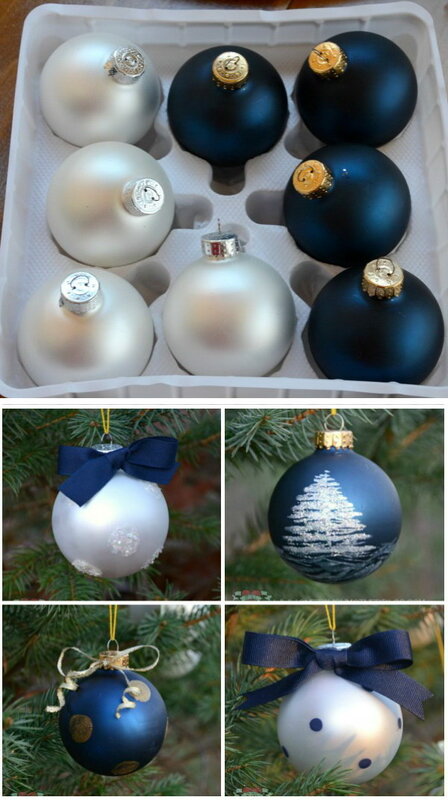 Tutorial via The Ornament Girl. Simply paint old bottle caps white, glue to a single strand of ribbon, and embellish. 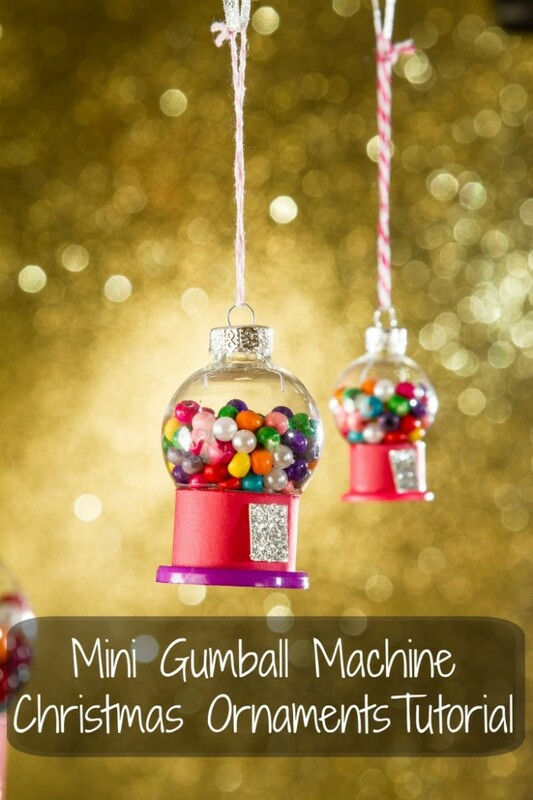 Easy, cute, and super cheap to make with fun for kids. Tutorial via One Artsy Mama. 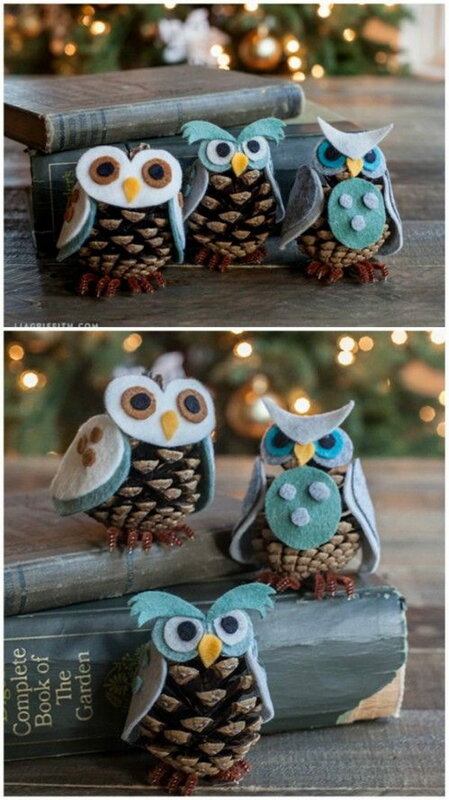 These felt and pinecone owls look so cute and adorable! Use pinecones, felt cutouts and glue gun to create some for this Christmas decor. Tutorial via LiaGriffith. 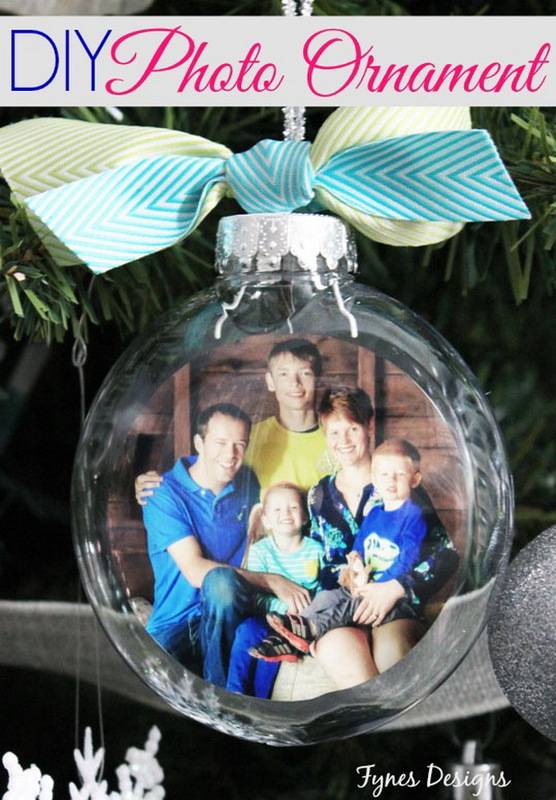 Another easy and fun handmade craft for Christmas! Check out the tutorial via buzzfeed. 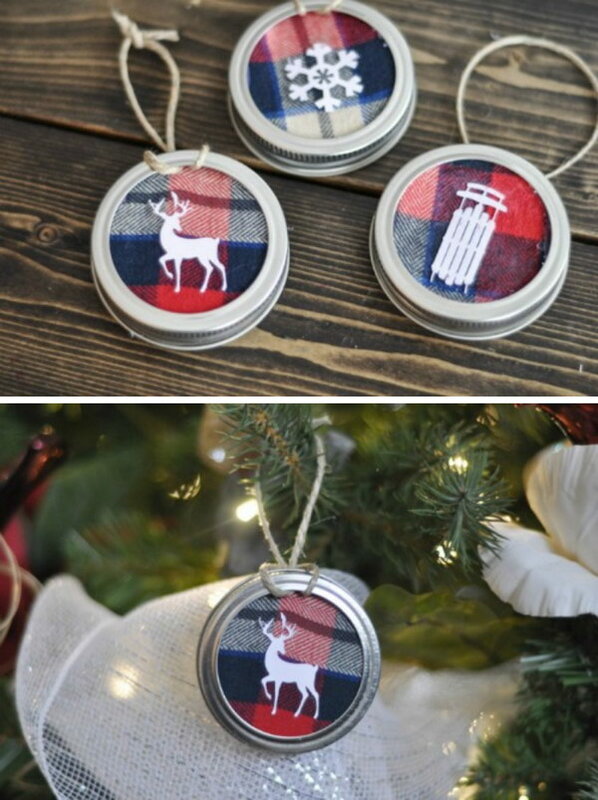 If you have some mason jar lids, a glue gun and some fabric scraps, you can make these ornaments. Tutorial via clean and scentsible. 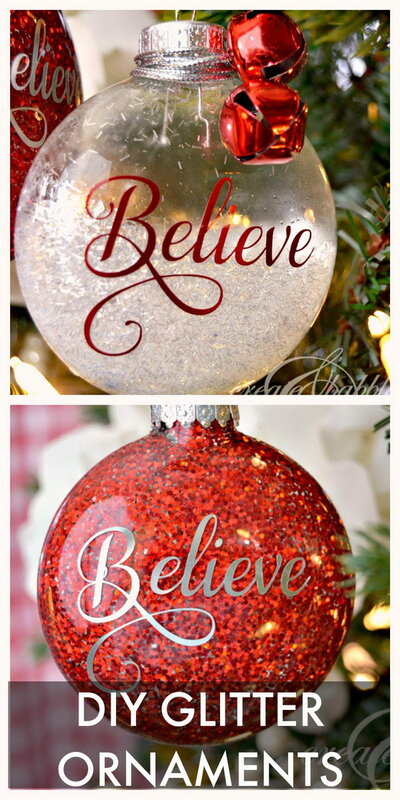 Get started to make these glitter Christmas ornaments for your new treewith the step-by-step tutorial via Create and Babble. Easy and fun to make! You could cover your tree with them. Or hang them on doorknobs around the house this Christmas. See the tutorial via Design Mom. 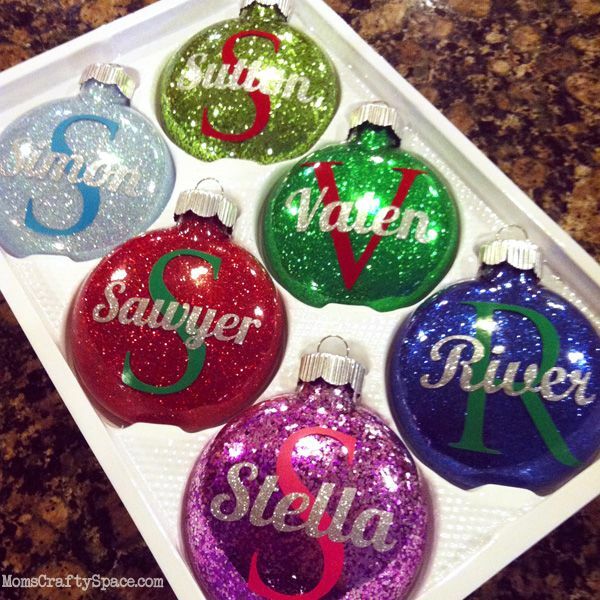 Add a personal touch to your Christmas decor! Easy, quick and fun to do! Tutorial via Sweet Tea And Saving Grace Blog. These hot cocoa mix ornaments are so easy and frugal to make. You can make for everyone you want with different hot cocoa varieties. See the full directions via Bubbly Nature Creations. 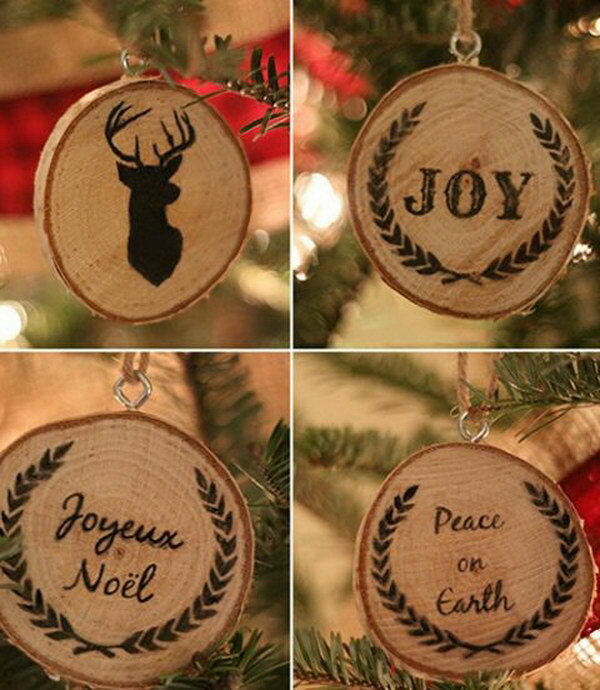 Wood slices emblazoned with seasonal messages are great at home for a country Christmas display. Tutorial via Upcycled Treasures.